The JTV Summer Styles Sweepstakes is back! This year again, visit jtv.com/summer and enter for your chance to win a trip for two to the dream destination of your choice. Winner will also receive $1000 is spending cash and $1000 in JTV Gift Cards. Who Can Enter? 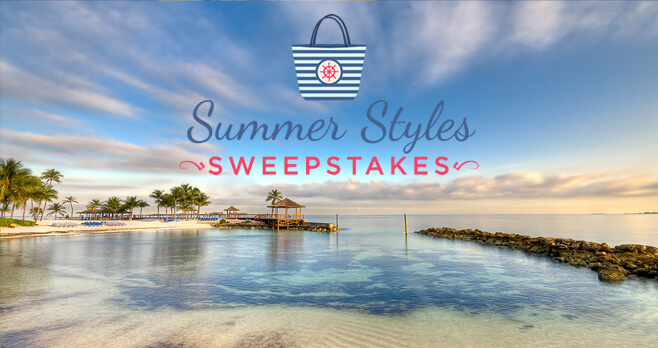 The JTV Summer Styles Sweepstakes is open only to individuals who are legal residents and physically located in the 50 states in the United States or the District of Columbia and who are at least 21 years of age at the time of entry. When To Enter? Sweepstakes begins on or about 12:01 AM ET on May 21, 2018 and all entries must be received on or before 11:59 PM Eastern Time on August 31, 2018. What Is The Sweepstakes Prize? The Grand Prize consists of a tropical 6-night getaway for two to an all-inclusive resort in St. Lucia, Punta Cana or Cabo San Lucas. Thanks for offering great jewelry and now even a sweepstakes offer for the lucky winner!! I would love to win this sweepsteaks!!! Love the jewelry I’ve ordered from JTV and received many compliments.